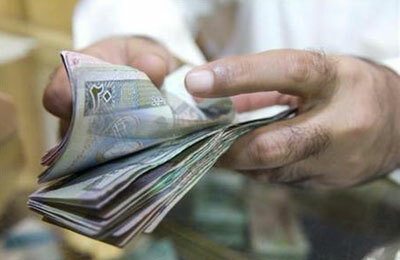 Bahrain’s Shura Council has approved amendments to the social aid law that would see individuals receive no less than BD70 ($185) a month and couples a minimum of BD120, a report said. A monthly payment of BD25 will also be given to each person in a family that has more than two members, added the report in the Gulf Daily News, our sister publication. Bahrainis listed with the Social Development Ministry will benefit from the amendments, which will now be sent to His Majesty King Hamad for ratification. Shura Council members compromised on their demand for BD30 to avoid a potential clash with MPs that could have delayed the bill until October due to the National Assembly going into recess at the end of the month. Presently, social aid payments are determined by the ministry, according to an assessment of their living conditions. "We already preparing new financial support criteria in co-operation with the International Monetary Fund (IMF) and restricting us to certain payments by law wouldn't help us a lot," said Social Development Minister Dr Fatima Al Balooshi. "There are cases that should receive more than the set amount and there are cases that should receive less and this can only through assessment to individual cases through a pattern," she said. Dr Al Balooshi added that 14,528 citizens benefited from social aid last year, according to our sister paper Akhbar Al Khaleej. Meanwhile, Council first vice-chairman Jamal Fakhro said the cost of the payments would be BD1.3 million annually based on the parliament amendments and BD1.6 million on Shura's proposed changes. "Giving needy families financial support is something we take high regard of, but opposing parliament's amendments and giving needy families BD30 rather than BD25 will just delay things and with the recess at the end of the month, it would be very difficult to approve until October," he said ahead of the vote. However, the council did not endorce the parliament decision to disburse the aid with retrospective effect from January 1. The law is to be implemented only after it is published in the official gazette. "It is sad that we wanted to give more and I am aware that BD5 would make a difference," Fakhro said. Moreover, Council youth and sports committee chairman and services committee secretary Khalil Al Thawadi said the ministry should keep the IMF out of Bahrain's affairs.